Not sure if the professional is a perfect fit? Subcontracting and interim employment offers extensive and functional trialability for professionals, a realistic form of risk management. Following successful business growth and impressive professional contribution from your interim executive, aligned goals and achievements can lead to an ongoing and mutually beneficial relationship. 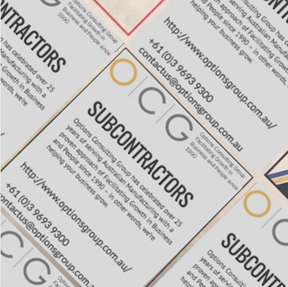 Many subcontracted employees have extensive experience and knowledge, and often specialise in areas such as business growth, turnarounds and strategy. This specialised knowledge can benefit your business at exactly the time you need. In times of business growth, you are often severely limited by time constraints and the operating environment, requiring swift responses to challenges faced. Subcontracting can facilitate immediate and intensive development for a business in order to effectively manage growth to maximise reward.